Genovations Cars brought a fully electric GXE supercar to this years LA Auto Show. This model has earned records from Guinness for achieving 190mpg in the standing mile as well as being the first electric car to hit a top speed of 209mph. 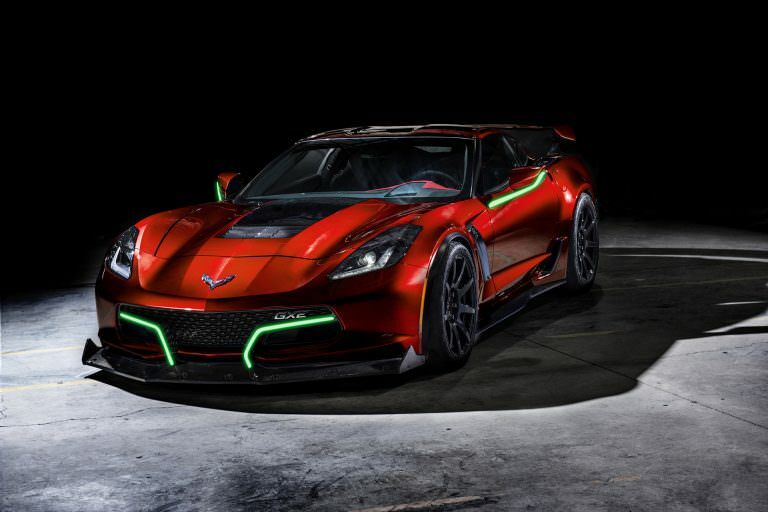 With electric twin motors it has a total system output of 800hp and over 700lb-ft f torque. In terms of range GXE has said it should cover more than 175 miles on a single charge, though that's with very moderate driving. Currently there are plans to produce just 75 units of them. Those are some incredible numbers and its a good example of whats possible with electrification on vet platform. It is pretty weird to see a Corvette ripping around the track like that without an exhaust note though. There are enthusiasts from every brand who will be forced into making this decision. If they have yet to experience what its like to drive a high powered EV, that's probably all it would take to sway them. ICE's just wont be able to compete off the line with what's offered by electric propulsion. They will have options from the minority of car makers that won't be so fast to go full EV and of course aftermarket companies that see the demand for traditional setups. There are probably only a few generations of ICE's left, because government restrictions on emissions are set to get much more stringent after 2025. Diesel is already being banned in various cities throughout Europe. Hopefully this pushes GM to build a stronger program for its classic vehicles like what German and British brands have been doing. Factory refreshed versions of classic Corvettes with electric powertrains will make everyone happy, much like the electric E-Type Jaguar is pushing. An classic electric Stingray would be pretty incredible. Purists might have a difficult time with that kind of conversion, but it would make their older models much more practical and reliable as daily drivers. Couldn't be a better time, not every one makes $150k a year and can finance a +$100k classic EV. Something for the average joe with a classic vette sitting around is a good idea. The classic retrofits that we are seeing from Jaguar and AM are both starting in access of $100k. They aren't really conversions though, as they are re building these new models from the ground up.